Complete the following tasks in sequential order. 1) Complete your summary and main idea write up for you Her Story project. 3) Practice reading your her story summary and main idea, clearly, confidently and at a consistent pace. 4) Divide your written response in ten separate paragraphs Use an online timer to time how long it takes you to read each of the ten separate parts. 5) Select 10 images that relate to your topic. Each photo will connect with what you are directly speaking about during your presentation. 6) Practice so that what you are reading lines up exactly with the images. Can you identify the women in the above Canadian heritage project? How did she impact the lives of the people around her? Women make up more than half the population of Canada, yet their experiences have often been left out of Canadian history books. Canadians are often left to wonder about the lives of women in the place we now call Canada. What were their joys and sorrows? What adventures did women have? What events changed their lives? How did women change the world around them? 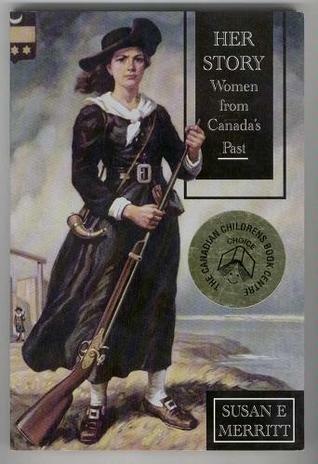 Women in Canada have become leaders, doctors, artists, and award winning writers; women defended forts, began newspapers, passed on military secrets and rescued princes. Their stories should not be ignored or forgotten. During our second history unit students will investigate and research the roles and contributions of an influential Canadian women during the late 19th century and early 20th century. Lesson 2.1: How did Women’s Roles Change? The role of women in Canadian Society was severely restricted in the late 1800s. Married Women were expected to devote their lives to their family. It was extremely rare to find women involved in business or politics. This situation began to change as some women and organizations started to challenge the limitations placed on them. Write a summary (retell +relate) response to the article. Write a main idea (reflect + respect) response to the article. *NOTE: For your reflect response use the sentence starter: I infer being a women in the 19th century was …. Include at least 3 points in your reflect response and give specific evidence to support each point.